Your roofing system endures punishing conditions 365 days a year while protecting your home from the elements. Eventually, this wear and tear will reach a critical level and you’ll need to replace your roof. Roof replacement is a big investment, but the advantages you’ll enjoy in terms of curb appeal, weather protection and energy efficiency make it well worth pursuing. Roofs weaken little by little over the years. The older your roof is, the more likely it is to suffer from wear and tear. In time, it will get too old to perform its intended function. A roof with only five to 10 years let in its projected service life should generally be replaced rather than repaired. If you are not the first owner of the home you are living in today, you may have questions about the age of your roof. You can turn to the previous homeowners for information, though you might get inaccurate answers. The best way to discover the true condition of your roof is to find solid proof with paperwork. Contact your county’s building department and find out if your home has a roofing permit. From there, you can determine the age of the roof and see if a roof replacement is in order. This form of damage is characterized by the upward lifting at the corners and edges of the shingles. This allows water to penetrate the inner layers of the roof, which can lead to premature failure. Curling shingles can also indicate poor ventilation, causing your roof to age faster than it should. Note that curling is different from cupping. Curling occurs when the shingles stay flat on the surface but have raised edges that curl downwards. Cupping, meanwhile, involves the centers of the shingles being concave or depressed and the edges turning upward. Your siding and roofing contractor also recommends looking for missing shingles. Like curling shingles, this form of damage exposes the roof’s inner layers, paving the way for water to penetrate the attic and cause indoor comfort issues. While missing shingles can usually be replaced, finding new ones that perfectly match the color of the existing ones can be a challenge for even the best roofer.Weathering and age slightly change the granule colors of the roof material. Replacing the whole roof may be the best option, particularly if the damage to the shingles is widespread. Cracks on the roof shingles allow an easy entry point for water to penetrate. Apart from high winds and improper installation, cracked shingles are also a result of fluctuations in temperature. Thermal splitting occurs when shingles or any fiberglass-based materials expand and contract during warm and cool weather, respectively. Lack of adequate tear resistance in the shingles’ makeup causes the material to warp and, eventually, split apart. This problem may also become apparent on your home’s siding, necessitating immediate replacement. 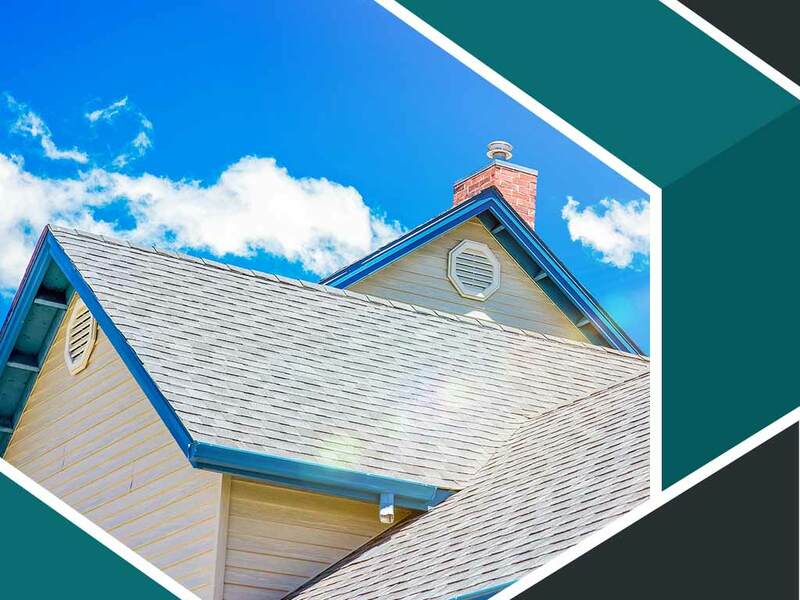 The mineral granules of roof shingles protect your roofing system from wind-driven rain, the intense heat and UV rays of the sun, and other elements. If your roof is well into its service life and you see these granules collecting on your gutters, then it is a sign you need to replace it right away. Old, end-of-life roofs, in particular, often have bald surfaces showing black shingle substrate. This is because the mineral granules have washed off of the shingles, making them porous and vulnerable to leakage. Consider roof replacement as soon as possible. While this is primarily a cosmetic issue, biological growth hastens the roof’s normal wear by retaining moisture against the surface. Power washing may remove moss and algae, but can cause damage to the shingles. As a more effective and long-term solution, many homeowners choose to pursue roof replacement. At Bradford Xteriors, we offer Owens Corning® shingle products with StreakGuard™ Algae Protection. The roofing manufacturer blends copper-lined granules into the shingles’ protective covering, helping inhibit the growth of algae. Attic inspections often reveal something so ordinary that people tend to overlook it—sunlight penetrating through the roof. However, if light can get in, so can snowmelt, rain and cold air. Water stains around these tiny gaps are a sure indicator of leaks, which, if left unaddressed, may compromise the roofing system’s performance. In any case, it is imperative you call the best roofer in the area. Depending on the extent of the damage, the pro may either patch these gaps or recommend replacing the whole roof. The latter would be a wise and cost-efficient option when further inspections reveal structural damage and wear and tear due to aging. At Bradford Xteriors, we provide professional inspections for our clients who aren’t sure about the condition of their roofing systems. When you work with us, we will assess every roof component and provide you with the information you need to make an educated decision. We recommend roof replacement when we discover extensive roof damage due to leaks or as a result of storms. Aside from replacing roofs, we also install, repair and replace siding. Give us a call at (614) 328-8188 to discuss to us your roof issue. You may also fill out our contact form to request a free, no-obligation quote. We serve residents living in and around Columbus, OH.